Hidden Gems is an opportunity for us to let you know that we’ve recently been somewhere that really think you should know about it too! It might be somewhere we’ve been going for a while, or something we’ve chanced upon for the first time. It might be a restaurant, a bar, a beach…it could be anything at all that has reminded us just why we love living in Ibiza so much! 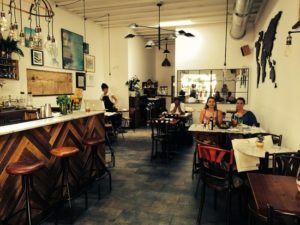 A firm favourite and regular haunt for the Charles Marlow Ibiza team is this gem of a restaurant in the bustling Plaza del Parque, Ibiza Town. Don’t be confused by name (as we once were! ), everybody is made to feel very welcome at this friendly eatery, the name refers to their admirable dedication to producing delicious dishes using only locally sourced ingredients. Set up by Tito Piazza, who was once head chef of the Cipriani group, this restaurant has created an outstanding Mediterranean menu consisting of everything from light fresh salads to more hearty offerings at dinner. Everything is kept simple, and everything is mouth-wateringly delicious. The wine list is extensive (largely comprised of local and organic offerings of course!) and there are expertly made cocktails to choose from to. 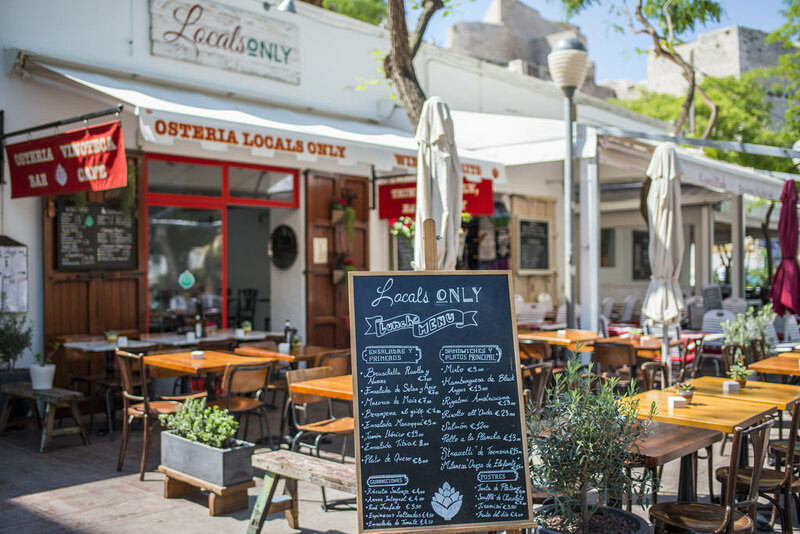 Anytime of day, and day of the week, Locals Only is a must visit for a fabulous meal in Ibiza Town.